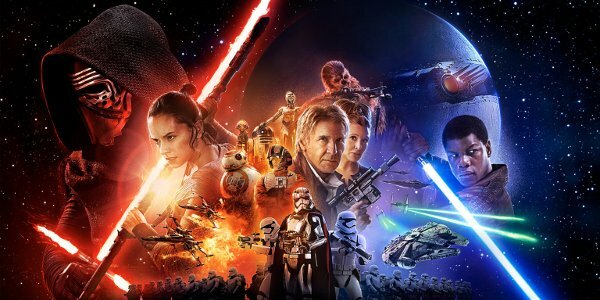 Since the release of Star Wars: The Force Awakens, there have been questions. There have been questions about who certain characters really are or which characters may be connected. One of the other questions that fans have had is, how much more is there? As with all movies, there were scenes that were shot that never made it into the final cut of the film. Now we have an exact number of additional scenes that will be included on the Blu-Ray release. The magic number is seven. We have been talking about [the deleted scenes]. But Disney has mentioned to us that - since they’re going to be on the DVD treats for viewers - that we should stop talking about them. There aren’t a lot. There’s one with Harrison Ford, there’s one with Rey, but there aren’t a lot. I think there are maybe seven or eight. I don’t know if that’s a lot. I remember looking at the reel. Actually, I think there are seven. By looking back through what various people have said about scenes that were cut out Star Wars: The Force Awakens, we can pinpoint what a few of the scenes probably will be. We know there was a scene with Captain Phasma that the editors particularly liked. We also know that there was a fair amount of Maz Kanata material that was filmed but eventually removed. It’s a good bet that those scenes will likely be included. We haven’t heard much, if anything, about additional scenes that include Han Solo, so that could be interesting. The scene involving Rey could be part of her Force vision, though we’re not even certain that scene was filmed. It could also be a scene in the Cantina that we know was filmed. Certainly we’ll be curious if it’s a scene that answers any of the many questions about her that we have. Unfortunately, we know that the deleted scenes will be included as extras, and not as an extended edition or director’s cut of the film. If the scenes are good enough, we’d love to see them included in the complete film. We’re certainly excited to see anything new from Star Wars: The Force Awakens as we had a lot of fun with the movie the first time around, and are sure we can dig all sorts of fun information out of our fifteenth DVD viewing. Are there any specific scenes that you hope are included with the disc release?